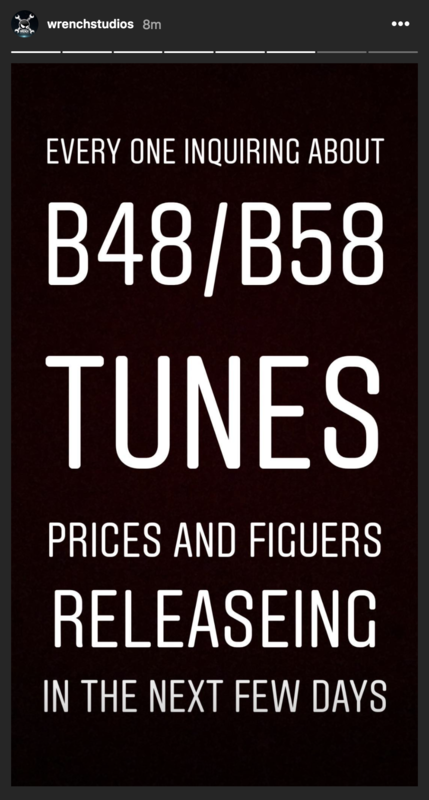 B58 flash tuning details in the next few days! With FEMTO OBD Flasher you can easily make Virtual Read of MDG1 ECU directly from OBD socket. No need to remove or disassemble ECU. All operations are easy and safe. You will get an 8Mb ORI full file that you can tune to your liking: chip tuning, DPF switch off, EGR switch off, catalytic converter removal, Vmax, etc. After applying the new improvements to the ORI file – you can easily write it back by OBD. No need to think about checksum calculations. Everything is done automatically. Virtual reading is available for all software variants. If we don’t have the file for your car on our server – we will add it in under 24 hours. Last edited by jpsimon; 07-12-2018 at 11:31 AM.. But still no information about the horsepower they put right? Probably we need to see that like how Burgertuning proved their tune. I think BMS team already flashed the engine but doing some testing . Bullitt already said that indirectly.